Is your little a collector of things? Do you love colors, shapes, textures? 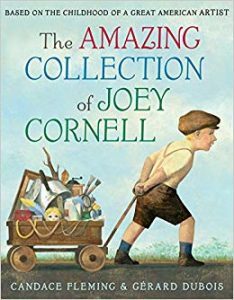 Then The Amazing Collection of Joey Cornell is your book, and Joseph Cornell will be your inspiration! Before he was an artist and a filmmaker, Joseph Cornell was first a collector. From a young age he added any object to his collection that intrigued him-and everything intrigued him! His parents brought little bits and trinkets home to him as well, and as his collection grew he would give shows of his “Relic Museum” in the barn to his family. When he grew up, he began using his collection of found objects to make amazing collages and shadowboxes. Joseph never trained as an artist, but his work eventually made its way to the Metropolitan Museum of Art in New York! 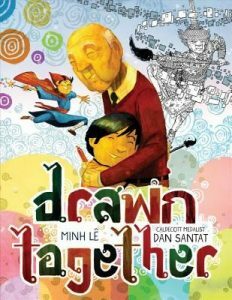 A fascinating story of an unusual boy and his unusual art, with biographical information and a short bibliography at the very end. 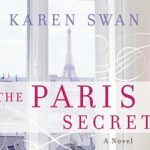 Flora Sykes, an art dealer, is in the middle of a family crisis when she is suddenly called to Paris to help assess the value of some art found in an abandoned apartment. When she arrives, she discovers that the apartment has not been touched since World War II and is full of paintings including a Renoir. Flora can’t help but question why the apartment and everything in it were left untouched for so long. In order for the art to be sold, they must find the provenance. How did the Vermeil family end up with the art? All roads lead to the Nazis. Scandal ensues. Meanwhile Flora’s brother is in trouble and her family is dealing with its own scandal. And, Flora is drawn to elusive Xavier Vermeil. Romance, intrigue, history, art and the fabulous City of Light, Paris. What more could you want?